Sorghum ( Sorghum bicolor, POACEAE ). 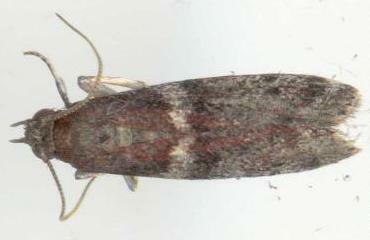 The adult moth is dark brown, with a white band across each forewing. The wingspan is about 1.5 cms. Moths of Australia, Melbourne University Press, 1990, pp. 66, 350. Volume 18 (1904), p. 150.